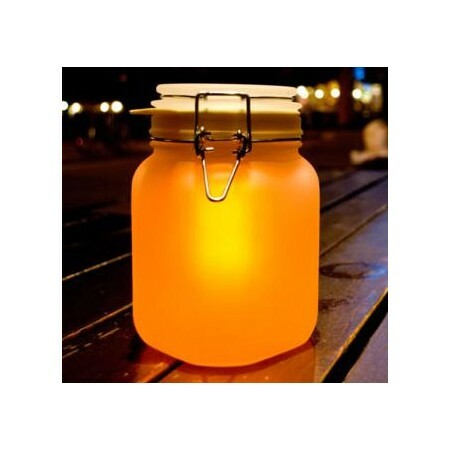 A jam jar stores jam, the sun jar collects and stores sunshine so that you can use it at night. 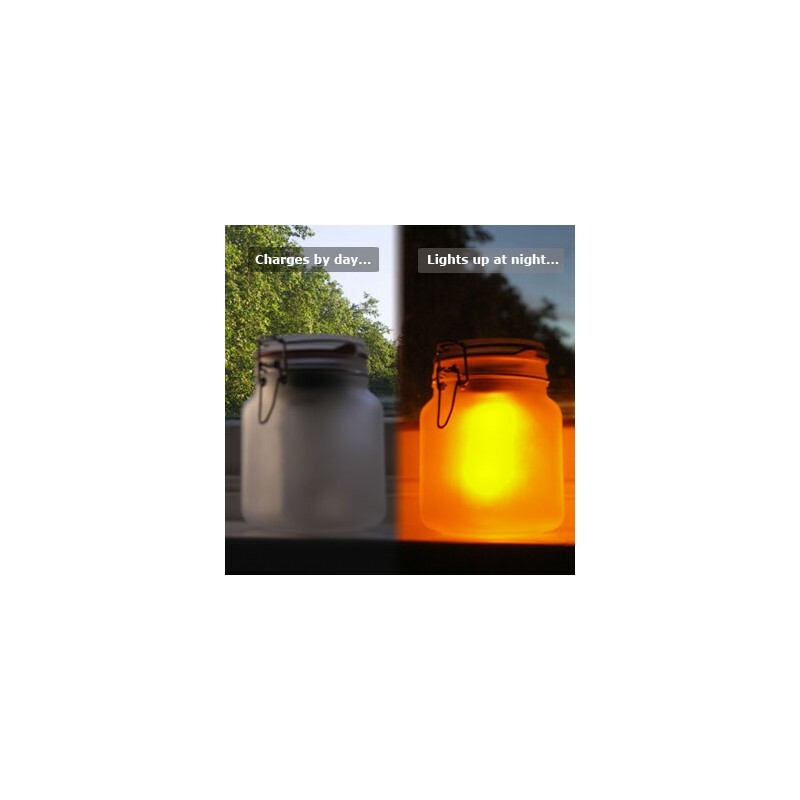 With a solar power cell that recharges the battery from daylight (leave yout SunJar outside or in a sunny window in DIRECT sunlight for several hours to charge). By choosing to use the sun's energy to recharge your batteries you are lightening the load on the planet. Contains a highly efficient solar cell, a rechargeable battery, and an energy efficient LED light. Traditional-styled Mason jar made from thick, frosted glass. The orange light that the lamp emits is similar in brightness to a candle. 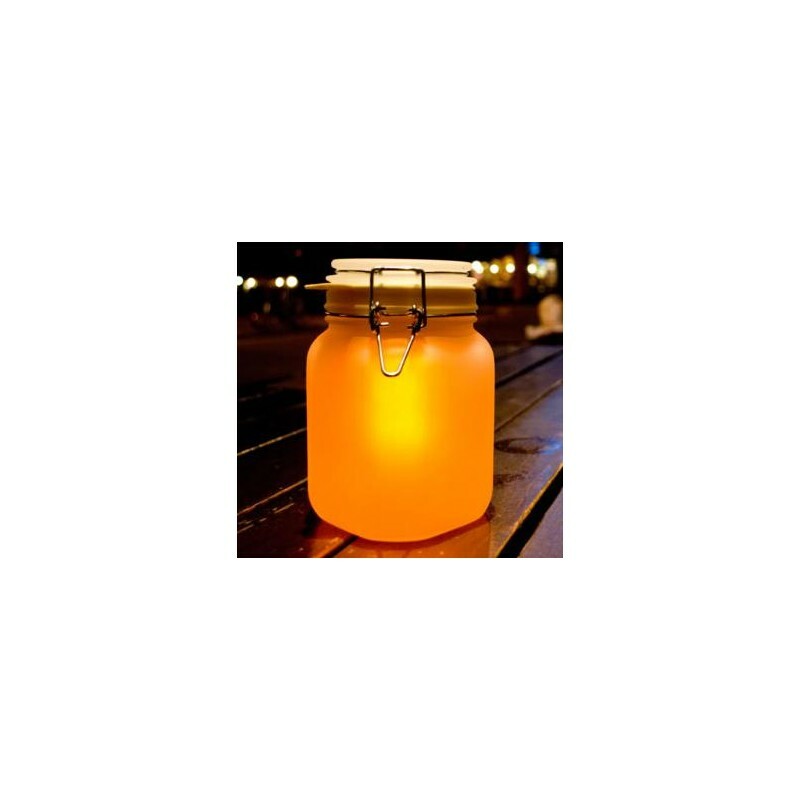 Waterproof seal means that the jar is watertight and can be used outdoors. Automatically lights up when it gets dark. 100mm x 100mm x 160mm. Ethically made in China, UK company. Browse our other energy saving products. My son uses this instead of a lamp and he puts it outside every morning to charge up. 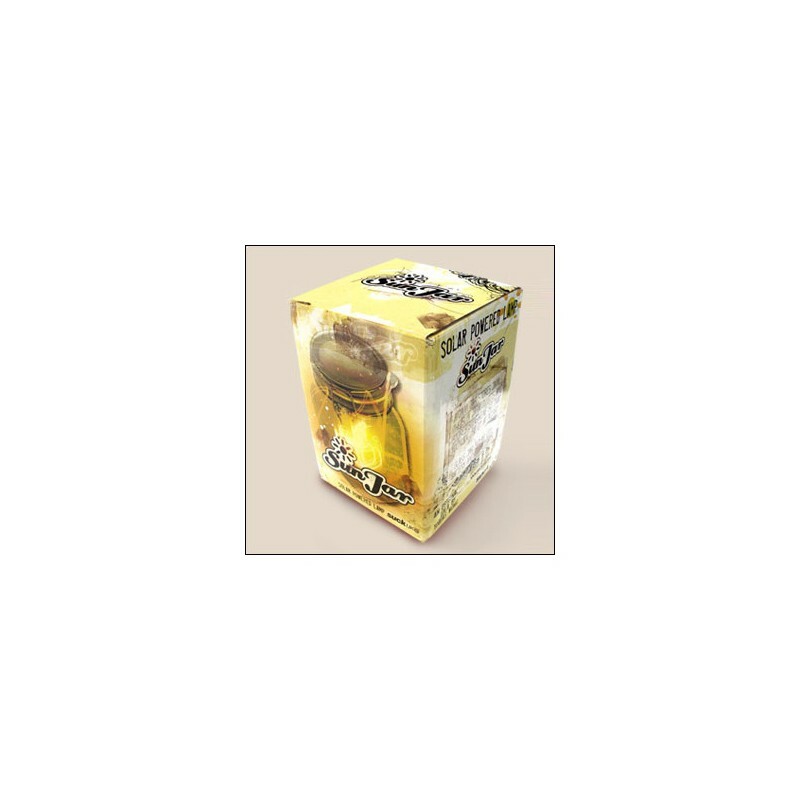 It gives a beautiful warm glow which is perfect as a night light.